The Hong Kong Jewellery Show Will Start From March 5-9 in the convention center. Please come visit us at CEC 3G-C09 for the upcoming trends and new jewellery collections. 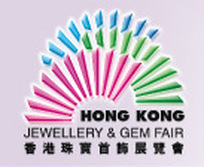 The Hong Kong Jewellery Show Will Start From Sept 17-21 in the convention center. Please come visit us at 5c129 for the upcoming trends and new jewellery collections.